There were several noteworthy developments in 2015 in the area of trade secrets and unfair competition. This post focuses on developments affecting California employers. Due to the unsettled nature of some of the law, this update includes citations to some significant federal district court decisions in 2015, so that California employers can understand and plan for the trends at the trial court level. 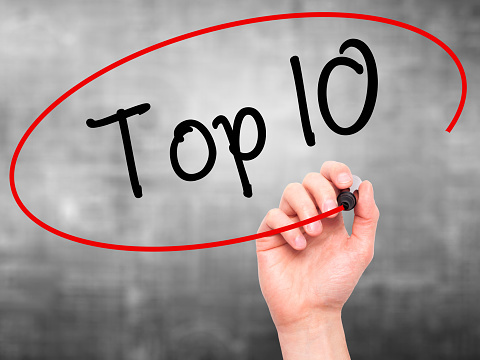 Here are the Top 10 key developments and lessons from 2015. Including a somewhat standard “do not darken our doors again”/no re-hire provision in a settlement or severance agreement with a former employee may constitute an unlawful restraint of trade. Golden v California Emergency Physicians Med. Group (9th Cir 2015) 782 F3d 1083 . Courts continue to struggle over the scope of the federal Computer Fraud and Abuse Act, including what constitutes “unauthorized access” and the “damage” or “loss” requirement. NetApp, Inc. v Nimble Storage, Inc. (ND Cal, Jan. 29, 2015, 5:13-CV-05058-LHK (HRL)) 2015 US Dist Lexis 11406; Custom Packaging v Phillips (CD Cal, Dec. 7, 2015, 2:15-CV-04584-ODW-AGR), 2015 US Dist Lexis 164523; SunPower Corp. v SunEdison, Inc. (ND Cal, Sept. 11, 2015, 15-cv-02462-WHO) 2015 US Dist Lexis 121587. Trade secrets plaintiffs must thoroughly investigate claims before filing suit, as courts are awarding substantial attorney fees to prevailing defendants in trade secrets cases that turn out to be meritless. Cypress Semiconductor Corp. v Maxim Integrated Prods, Inc. (2015) 236 CA4th 243; Finton Construction, Inc. v Bidna & Keys, APLC (2015) 238 CA4th 200. The so-called “inevitable misappropriation of trade secrets doctrine,” i.e., the former employee can’t help but use or disclose the employer’s trade secrets in his/her new position, isn’t viable under California law. Cypress Semiconductor Corp. v Maxim Integrated Prods, Inc. (2015) 236 CA4th 243. To improve the chances of enforceability of a contractual forum selection clause, drafters should use the broader language, “any dispute arising from or related to” the employment contract, rather than simply “arising from” the contract. Ryan v Microsoft Corp. (ND Cal, April 10, 2015, 14-CV-04634-LHK) 2015 US Dist Lexis 47753. A well-drafted forum selection clause may allow an employer to attempt to enforce a covenant not to compete against former employees in a non-California forum that enforces such non-competes under the forum state’s law. Rowen v Soundview Communs., Inc., (ND Cal, Mar. 2, 2015, 14-cv-05530-WHO) 2015 US Dist Lexis 24986; Richtek USA, Inc. v uPI Semiconductor Corp. (2015) 242 CA4th 651. Employers should continue to be wary of even informal agreements among their competitors not to hire each other’s employees, or not to “poach,” “cold call,” or recruit them, as courts have ruled that these constitute unlawful restraints of trade. Ryan v Microsoft Corp. (ND Cal, April 10, 2015, 14-CV-04634-LHK) 2015 US Dist Lexis 47753. Protecting the alleged secrecy of the trade secret is an essential element of the misappropriation claim. For example, the trade secret proponent’s failure to place the recipient on notice of the secrecy requirement, failure to insist on nondisclosure agreements, voluntarily disclosing, publishing on the Internet, sharing with others, etc. can defeat the claim. McIntyre v BP Exploration & Prod., Inc. (D Alaska, Mar. 5, 2015, 3:13-cv-149 RRB) 2015 WL 999092. Practitioners should pay attention to the drafting of and compliance with protective orders, including “model” court-provided protective orders. Koninklijke Philips N.V. v Elec-Tech Int’l Co. (ND Cal, Oct. 26, 2015, 14-cv-02737) 2015 US Dist Lexis 145756. Courts continue to recognize the preemptive effect of the California Uniform Trade Secrets Act, to the extent related claims (e.g., unfair competition, conversion, trespass to chattels, interference with contract, etc.) rely on “the same nucleus of operative facts.” Lifeline Food Co. v Gilman Cheese Corp. (ND Cal, May 15, 2015, 5:15-cv-00034-PSG) 2015 US Dist Lexis 64155. In addition, all employers should pay attention to the pending “Defend Trade Secrets Act of 2015” (HR 3326), which aims to address some of the criticism leveled at a prior version of a federal trade secrets law, the “Defend Trade Secrets Act” introduced in the 2014 session of Congress. Employers should continue to monitor these developments, as the law is constantly evolving. For discussion of trade secret protection and unfair competition, turn to CEB’s Advising California Employers and Employees, chap 11. 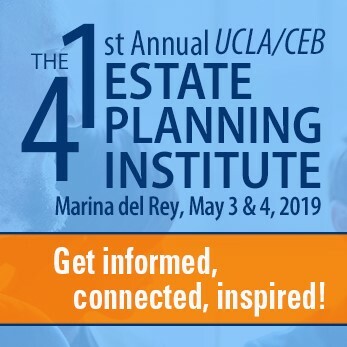 Also check out CEB’s Trade Secrets Practice in California.